From going to the Dentist, performing in a School Play or starting School- there are many experiences that children encounter for the first time that can be daunting. But with guidance and preparation-children often find them a lot easier. 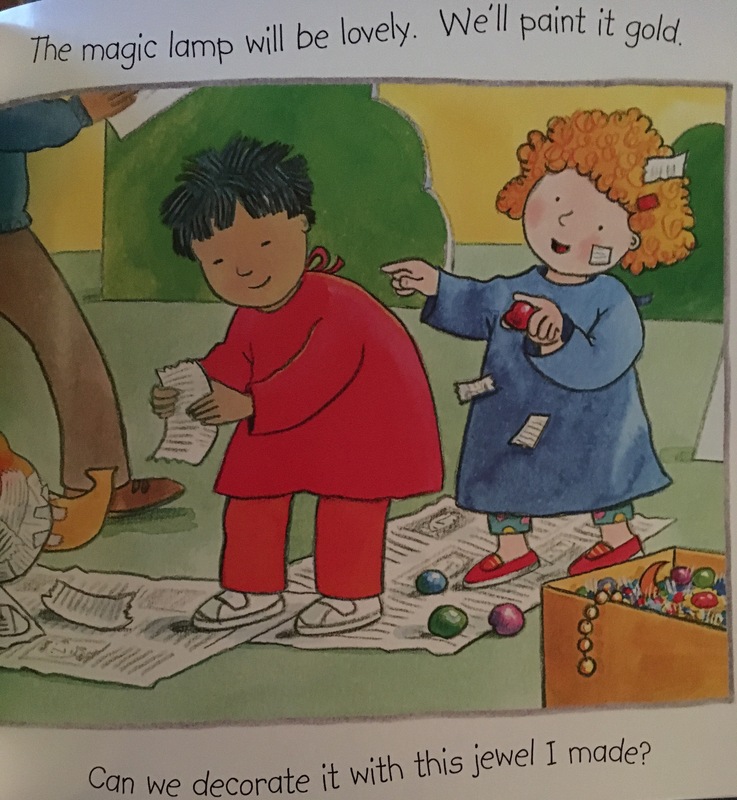 That’s why we loved the series ‘First Time‘ by Child’s Play; gorgeous children’s books about new situations. Beautifully illustrated by Jan Lewis and written in a gentle, conversational style these books are a new favourite in our house. 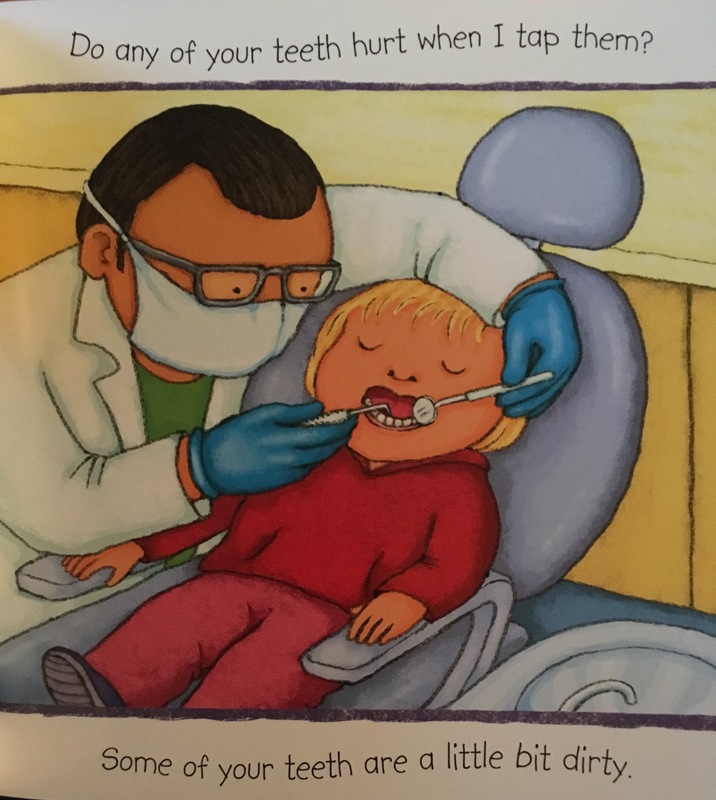 Reduce Anxiety- These books feature situations that children sometimes find difficult- such as going to the Dentist. I’ve found that by reading about situations with children in advance you help them prepare and reduce their anxiety over the unknown. Particularly important for some children with Autistic Spectrum Disorders. Accurate– We loved that these books were true to life. 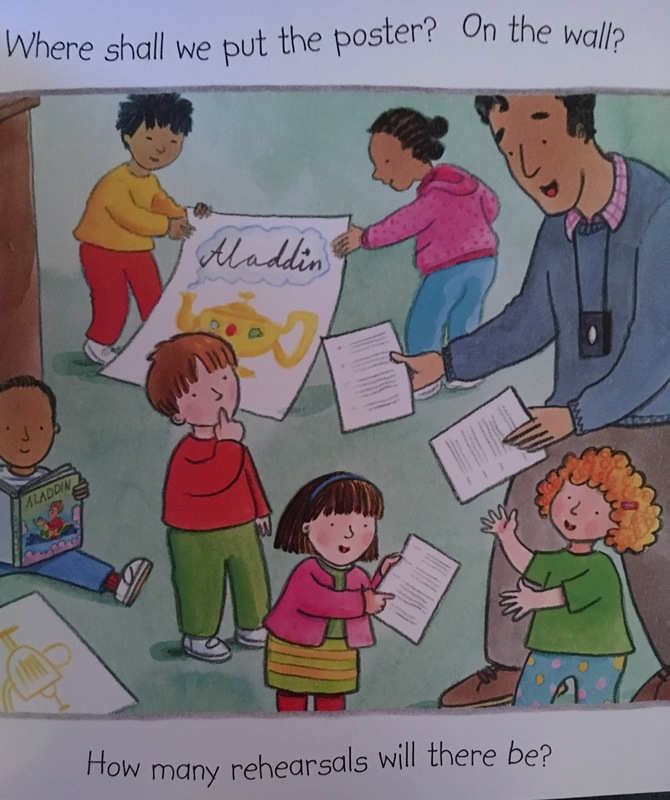 For example, in the book Performance– the text and illustrations truly capture the enjoyable chaos of preparing for a school play! 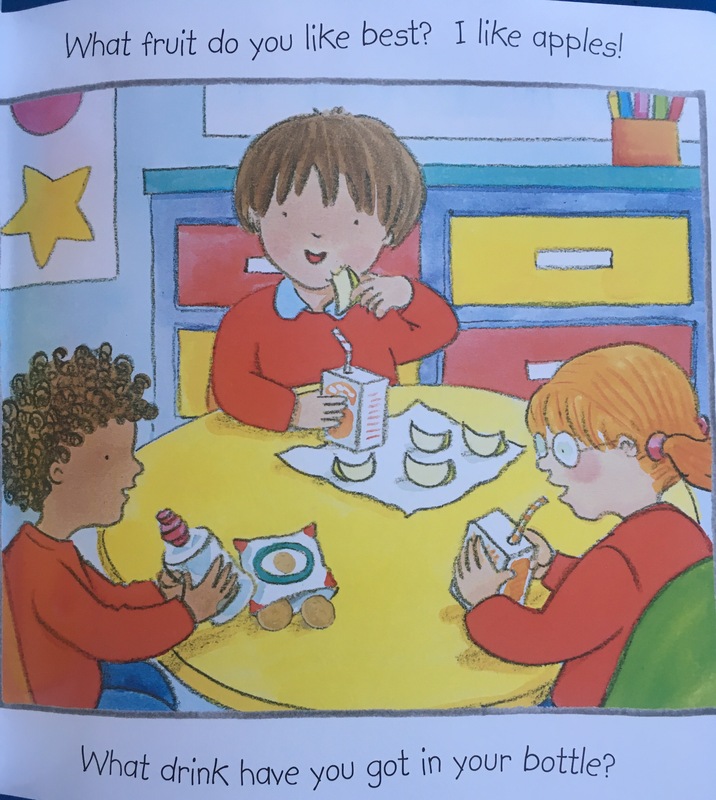 In addition, the book School– accurately depicts a school day with activities that are completed in class as well as what happens at lunch time. Encourages Conversations- The First Time series is packed full of questions throughout the story. 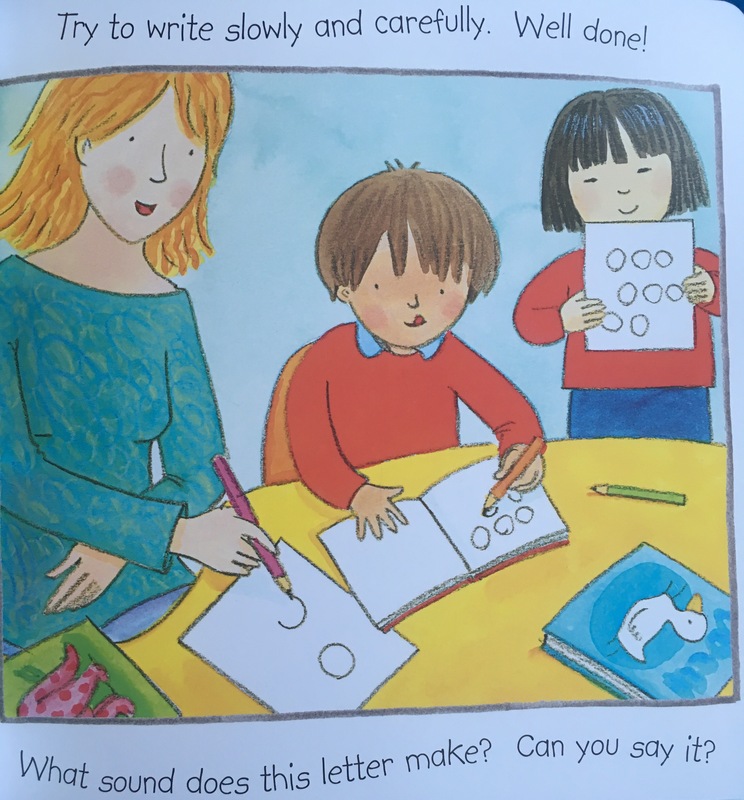 This helps motivate children to engage with the text and talk to the person reading it. This develops important comprehension and communication skills.